The following is created for everybody who has an interest in the Nielsen family from the farm in Verninge. Both Johannes and Julius are sons of Amine and Christian Nielsen. Christian Nielsen was the son of Kirstine and Mads Nielsen - the family we have chosen to be the founders of the Nielsen clan. 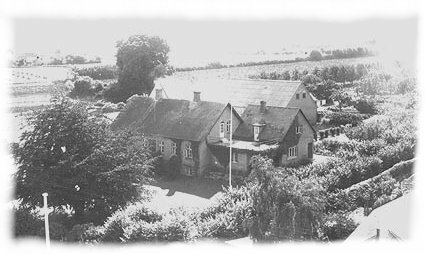 The web-site will among other things tell you about a family gathering in Kerteminde, Denmark on the 30 - 31st of August 2003. We have tried to find and to contact as many as possible of the family members, but there are still many out there that we have not been able to reach - so please spread the happy news! On the web-site you will find a number of categories with information. These will continuously be updated. Here you will see the invitation sent by post or e-mail to the ones where we have been able to find an address. It is in both Danish and English. A gallery of pictures - to be downloaded, printed and included in the family-album! Here you will find all the practical information concerning the 2 days in August. We are doing a family tree, please help with as much information as possible. Corrections are also welcome. It is for everything - messages, inquiries, group bookings, shared renting of cars, apartments - whatever is on your mind and your heart desires! Tales of and from the Nielsen dynasty! Please share all your good memories, the more the merrier.